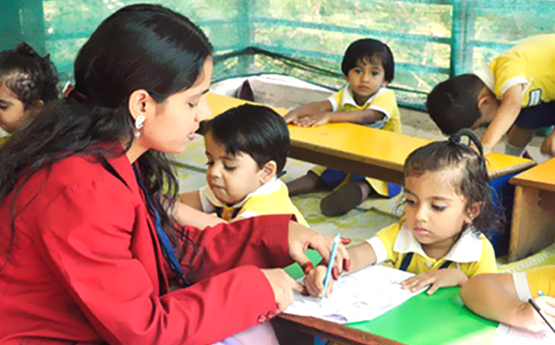 For Pre- Nursery & Nursery, the admissions are in the Month of May & October. Students are enrolled on the basis of availability of seats during the specified registration period. Students offered admission must complete the following formalities before joining. There is no formal testing or interviews. Children visit the school with their grandparents/ parents and are observed in a very congenial atmosphere.